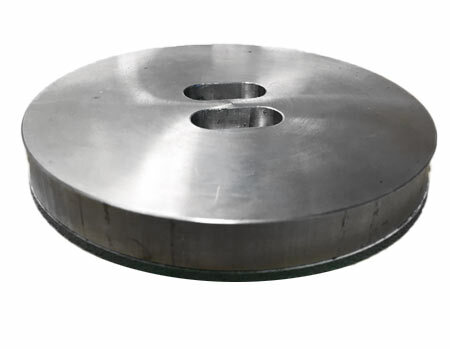 The aluminum plate puck is 7/8" thick; 4.5" round, yielding 4.25" imaging area for 7.5"-8" plates. It is used to decorate sublimation plates with swing-away heat presses and *some clamshell heat presses. The plate puck is ideal to convert your flat swing-away heat press into a plate press and doesn't require any other additional equipment or attachments. The plate puck has a high quality heat conductive rubber that allows it to overcome the raised area inside the plates center, allowing for even image transfer. *Your heat press must be able to accommodate a minimum of 1.5" thickness.